Climate protection and circular economy are both areas of environmental protection policy that have been operating independently without being coordinated with each other. However, with the implementation of the energy and traffic reform resources that were previously often not used in mass quantities are needed. For the present we need to primarily find ways to produce these resources in an environmentally and socially just manner, and the hereby occurring used products need to be recycled to a high standard in the future. The introduction of electromobility offers the opportunity to set the right course. This is why the German Advisory Council on the Environment (SRU), in which Prof. Rotter, as a member of the Council, represents issues concerning resources as well as circular economy, has not only developed suggestions for climate protection in the traffic sector, but also addressed issues about resourcing and recycling aspects. The presentation of the report at the Berlin Recycling and Resource Conference will help to combine the areas of climate protection and the circular economy. The chair of circular economy and recycling technology, was represented with tow project groups at the faculty-wide project week Process Engineering Sciences. During the project week, two groups with a total of 17 first-semester students worked on topics about littering and bulky waste collection in the Berlin city area as well as the use and perspective of disposable single use plastic articles on the main campus of the technical university. The random sampling of ten different Berliner districts led to the conclusion that the current collection system covers only an insufficient part of the bulky waste potential. Reasons for this appear to be high service barriers, such as poor accessibility and high fees, compared to bulky waste collection in other municipalities. The researches at the main campus of the TU Berlin show that there are with the beginning of the new year 2019 already some initiatives to avoid single use plastic articles like cups, bowls, lids, cutlery or stirring sticks. The bioplastics PLA is often used as a substitution. But some of the establishments could raise more awareness regarding the utilization of such articles. Furthermore students have to be more sensitized. 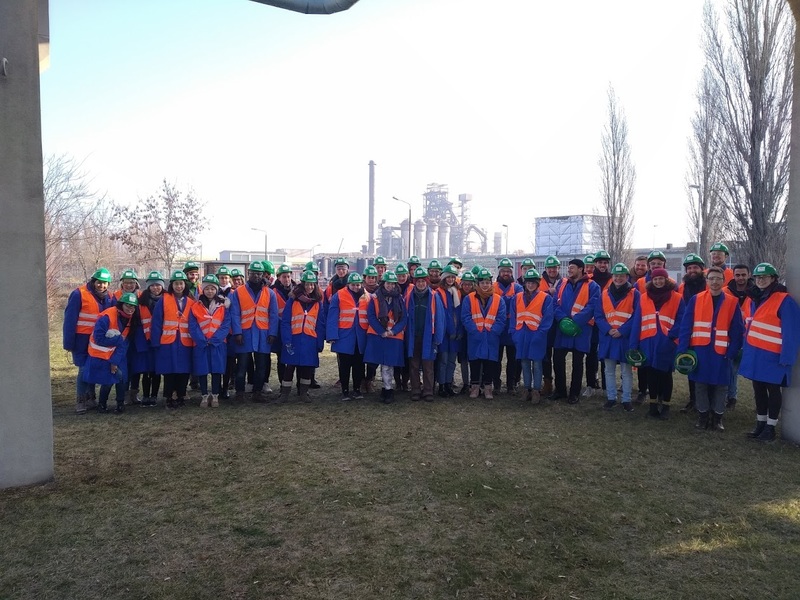 The annual field trip to the steel plant of ArcelorMittal in Eisenhüttenstadt, which is part of the master module "Advanced recycling technologies", took place on January 22 and met with great interest of the students. A total of 44 participants, more than ever before, was able to experience the complete scope of steel production and processing on the spot. 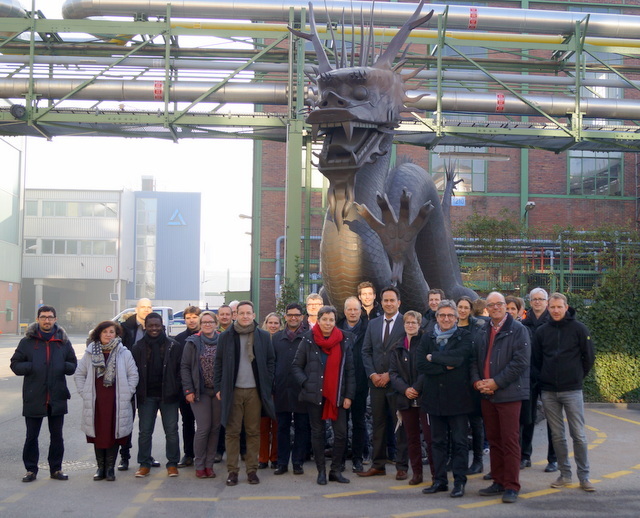 Our special thanks go to our former employees, who take charge of the tours every year and bring the students closer to the history and facts of the steelworks and the production processes. The CURE network meeting that took place on December 6, 2018 was a great success! There were around 70 participants from different backgrounds, interested and active in Berlin, who saw the initial results of our pathfinder project, and pitched in their ideas for what a future circular center in Berlin should be like. The slides showed in the event, including a summary of the results from both workshops done during the event, can be downloaded here: lnkd.in/dTFNsES. We will be update our project website shortly (www.cure.tu-berlin.de) with the final reports and results of this project. Many thanks to all who joined! The Expert Panel is an initiative of the Helmholtz research network about "post-lithium batteries" and is carried out by the Karlsruhe Institute of Technology (KIT). 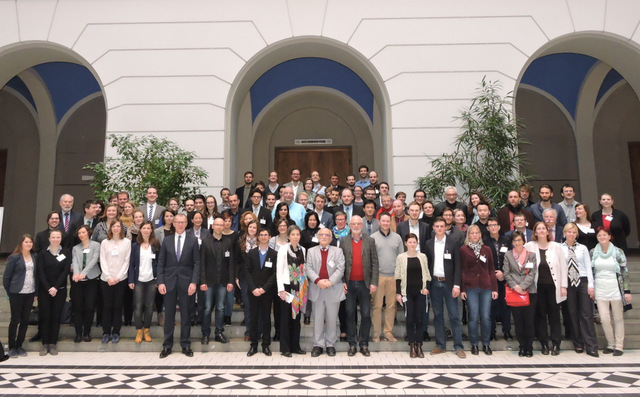 Experts on various disciplines and institutions, such as research, industry or policy consulting, met and discussed entrepreneurial aspects, regulations, potential environmental impacts and the possible applicability of current and future recycling processes of various battery and cellular chemistries. Paul Mählitz represented the chair of CERT and gave a keynote speech on the "Recyclability of Lithium Batteries". Please see the KIT website for more information. 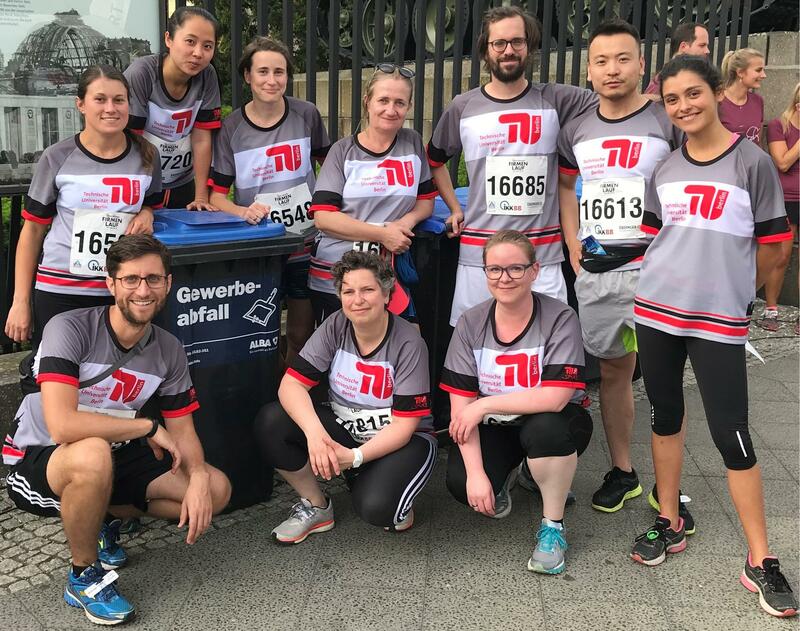 On May 30, 2018 the Berlin Corporate Running Event (IKKBB Berliner Firmenlauf) took place for the 16th time and colleagues of the Chair of Circular Economy and Recycling Technology participated! Approximately 440 t of Gold are on Europe's streets at the moment. At the end of life this valuable material ends up in shredder facilities. Researchers of the ProSUM project created the first Urban Mine Data Knowledge Platform to inform about arisings, stocks and wastes of secondary raw materials from vehicles, electronic equipment, batteries, and mining waste. Kristine Sperlich was working on the project and was interviewed by Deutschlandfunk Nova about the gold in our cars and makes recommendations for the Federal Government. 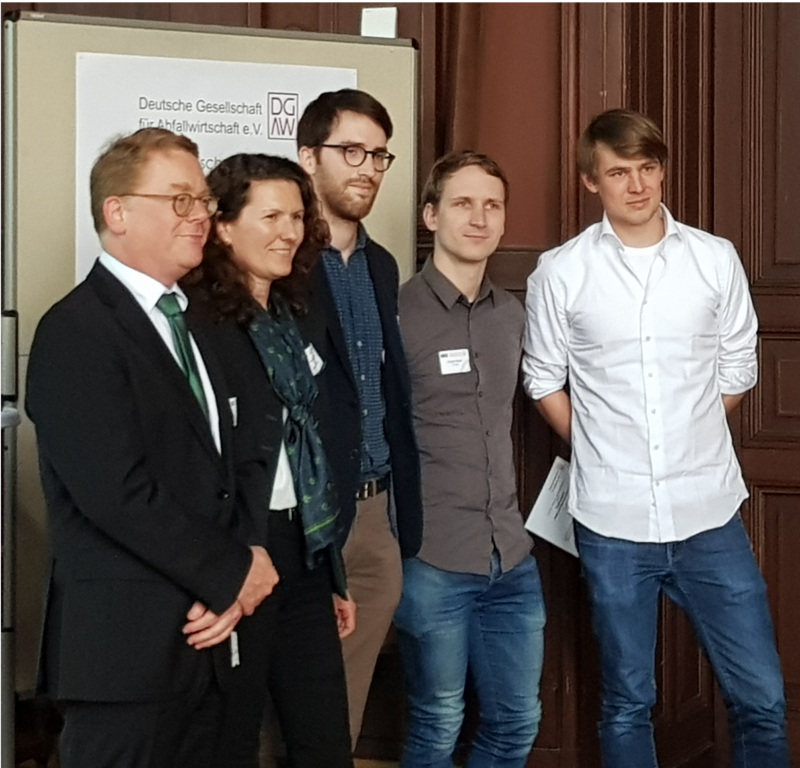 Albrecht Fritze, research and teaching assistant at the Chair of Circular Economy and Recycling Technology, received a double award for his poster with the title ‘Why is there so much straw? 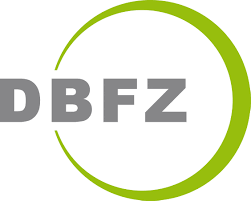 – Management and availability of agricultural and livestock biomass residues for anaerobic rice straw digestion’ at the 8th Science Congress Waste and Resource Management of the Deutsche Gesellschaft für Abfallwirtschaft e.V. (German Association for Waste Management) in Vienna. He was able to convince the scientific jury as well as participants of the Science Congress with his work. Students of the course "Advanced Recycling Technologies" present and discuss the results of their group work in a poster exhibition. Topics this year were improvement of functional recycling and pre-sorting of steel, recyclability on the example of coffee capsules, and the development of pre-sorting criteria to enhance WEEE plastic recycling. For all interested in the topics, the posters are exhibited in the first floor of the Z building for the next weeks. 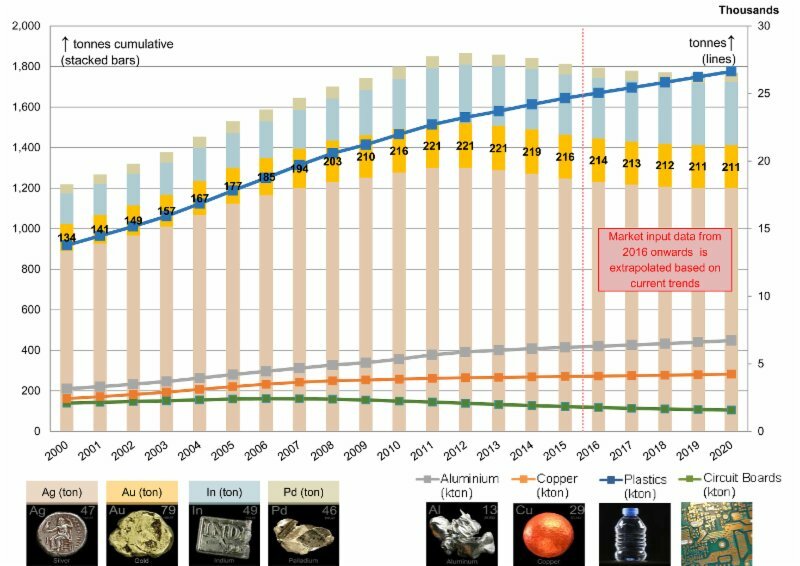 The Urban Mine Platform (urbanmineplatform.eu), created by the Chair of Circular Economy and Recycling Technology in cooperation with 16 EU partners in project ProSUM (Prospecting Secondary Raw Materials in the Urban Mine and Mining Wastes), presents the flows of precious and base metals and critical raw materials in products in use and throughout their journey to end of life. The project " environmentally and climate compatible adaption of biogas plants in Vietnam" focuses to support a bilateral coorporation in the field of development and implementation of adapted/integrated biogas plants. This will be conducted by provision of information and integration of an information exchange platform. The EU H2020 project <link=191438>ORAMA (Optimizing quality of information RAw MAterials data collection across Europe)" focuses on optimising data collection for primary and secondary raw materials in Member States. Further information are available under orama-h2020.eu. On 23.11.2017, the German Advisory Council on the Environment (SRU) presented its special report "Time to take a turn: climate action in the transport sector". Currently, the transport sector is responsible for about one fifth of Germany's greenhouse gas emissions. While other sectors have seen significant emission reductions since 1990, emissions from transport have even increased slightly over the same period. 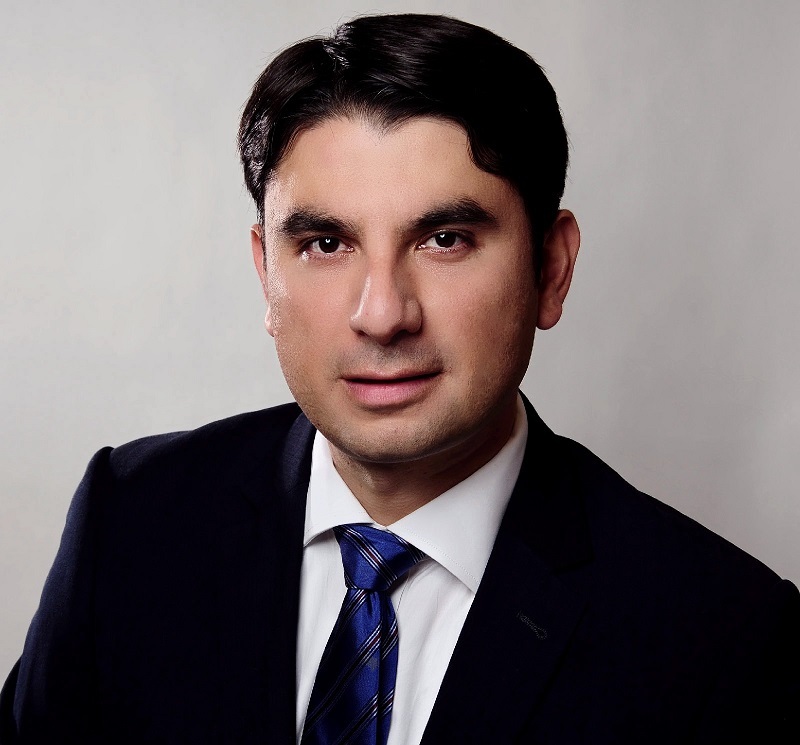 In addition to demonstrating a strategic turnaround for transport, the SRU investigated the impact of restructuring the transport sector on the raw material demand and proposes a set of measures that addresses both the extraction of the necessary primary raw materials and the recycling of the raw materials used. Prof. Vera Susanne Rotter – chair of the department Circular Economy and Recycling Technology - is a member of the German Advisory Council on the Environment in the Council period 2016-2020. On October 2, 2017 a statement of the German advisory council for the environment was launched calling for a coal phase out. In this 50 page statement the council suggests that Germany must completely phase out of coal based power generation within the next 20 years. Head of the group Prof. Vera Susanne Rotter is member of the council. On June 9th, 2017 Dipl.-Ing. Maximilian Uerberschaar successfully defended his dissertation at the chair of Circular Economy and Recycling Technology. The title of his work is: "Assessing recycling strategies for critical raw materials in waste electrical and electronic equipment ". Dipl.-Geol. Florian Groß successfully defended his dissertation on March 21st, 2017, at the chair of Circular Economy and Recycling Technology. The title of his work is: "Optimization of residual biomass utilisation in palm oil production". 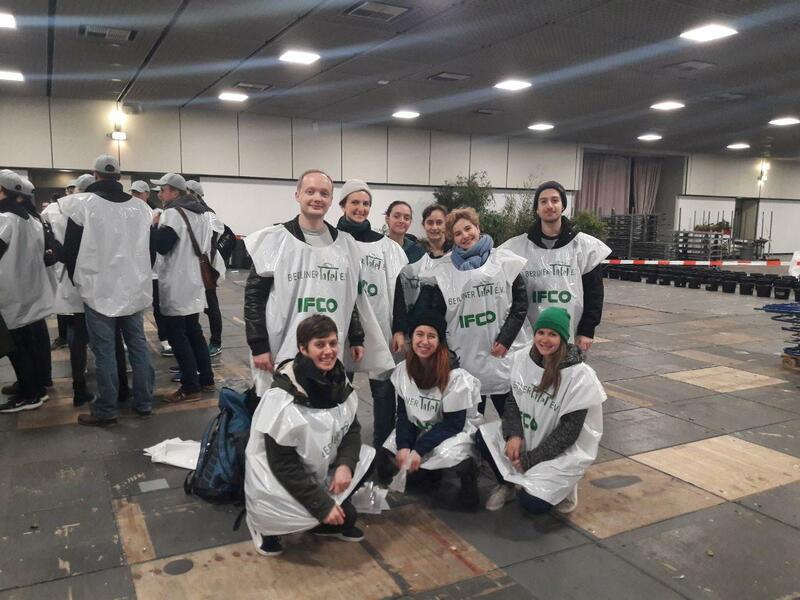 On Friday, February 2nd, 2017 we helped collecting leftover food from the international exibition Fruit Logistica together with our students from the Technical University of Berlin. The "Berliner Tafel" organises this activity every year and the chair of Circular Economy and Recycling Technology is proud to be a regular supporter. 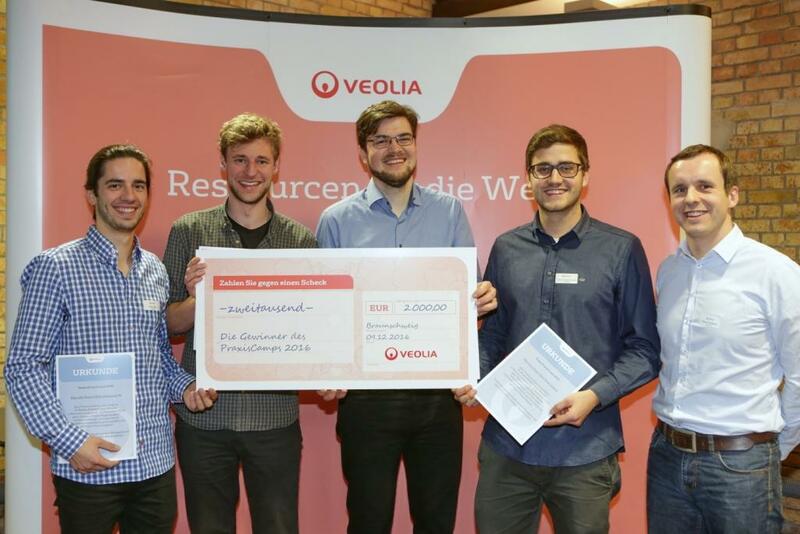 The team of the TU Berlin placed first at the Veolia PraxisCamp in Braunschweig. The winners Felix Kaiser, Paul Genz, Gabriel von Müller and Janosch Radermacher as well as their advisor Robert Saalbach (OEWA) could excel in the final competition against the teams from FH Aachen and FH Münster. The new elected team of the German Advisory Council on the Environment (SRU) starts its work. Seven university professors from different disciplines with special scientific expertise in environmental protection got appointed: Prof. Dr. Christian Calliess, Prof. Dr. Claudia Hornberg, Prof. Dr. Claudia Kemfert, Prof. Dr. Wolfgang Lucht, Prof. Dr.-Ing. Lamia Messari-Becker, Prof. Dr. Manfred Niekisch, and Prof. Dr.-Ing. Vera Susanne Rotter. Also in this year, members of the Chair of Circiular Economy and Recycling Technology (CERT) assist in the offline short course "Solid Waste Management" at the UNESCO-IHE, Institute for Water Education, Delft, Netherlands. With a group of international students, they spend three weeks of intensiv work on the topics waste prevention, waste management, circular economy and recycling. 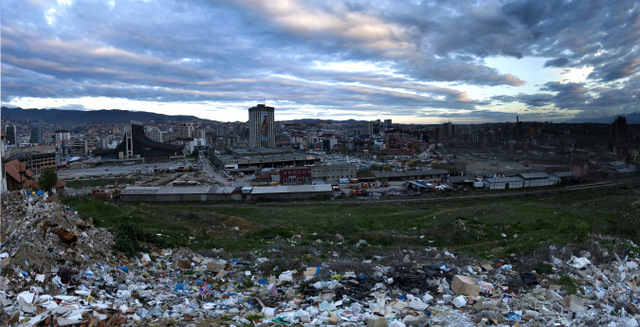 The Chair of Circular Economy and Recycling Technology (CERT) cooperates with the Urban Management Program at the TU Berlin and giz to realize student projects in Pristina, Kosovo. The aim is to carry out case studies focusing on current waste management aspects with high local relevance. 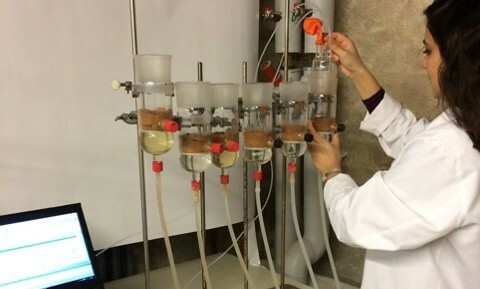 Dr. Tugba Agacayak has completed her post-doctoral project on “Investigation of benefits of Compost Application Regarding Mitigation of Greenhouse Gas Emissions in Arid Climates”. This project aims to investigate an experimental set-up to enhance the understanding of the formation of greenhouse gas emissions and change in the emissions with the usage of compost instead of fertilizer in arid climates, to improve agricultural practices towards less emission. Again this year, top motivated CERT members attended the Berlin 'Firmenlauf 2016'. This event brings together all kinds of Berlin companies to run in the city center of Berlin. They successed gloriously! With the ARGOS Real Time Analysis System, systems should be developed and checked for the characterization of metal-rich processing products. ARGOS is based on a combination of a sensor-based particle characterization, mathematical derivations, and empirically well-known properties of material flows. Following the recommendation of the Federal Environment Minister Dr. Barbara Hendricks the cabinet agreed to the new appointment of members of the German Advisory Council on the Environment (SRU). Seven university professors from different disciplines with special scientific expertise in environmental protection got appointed for the next council period from July, 1, 2016 until 2020. The 'Chair of Solid Waste Management' is officially renamed to 'Chair of Circular Economy and Recycling technology' (CERT). The German Association for Waste Management (Deutsche Gesellschaft für Abfallwirtschaft e.V., DGAW) organises annually in cooperation with Universities in the German-speaking area the congress "Abfall- und Ressourcenwirtschaft". The congress is a platform to inform about current research at universities and linked institutions carried out within the scope of Master or PhD studies. This year, the Chair of Circular Economy and Recycling Technology (CERT) hosts this event. The research project BioRist starts. The project investigates the development and integration of an innovative process technology for biogas production from rice straw in regional value chains in rural areas in South East Asia under consideration of sustainable development and climate protection – case Vietnam. The research project UPgrade was successfully finalied and invites to the final workshop at TU Berlin.